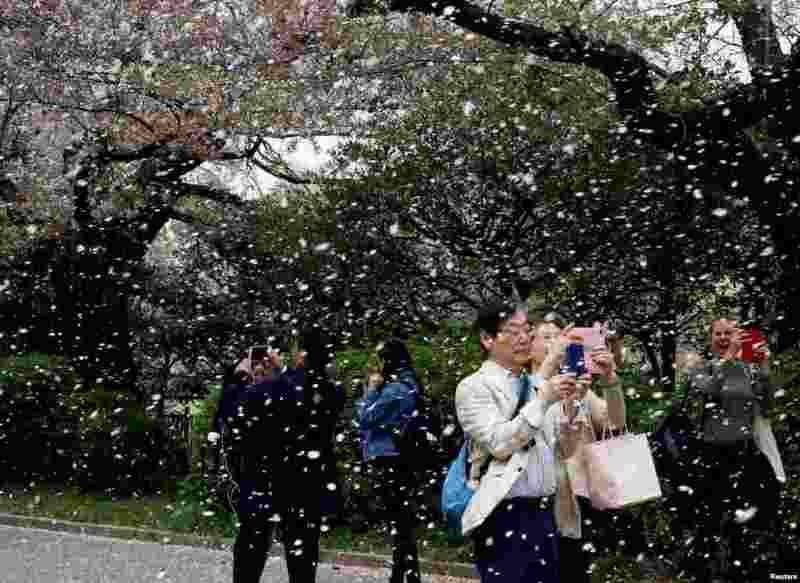 1 People film a shower of cherry blossoms at a park in Tokyo, Japan. 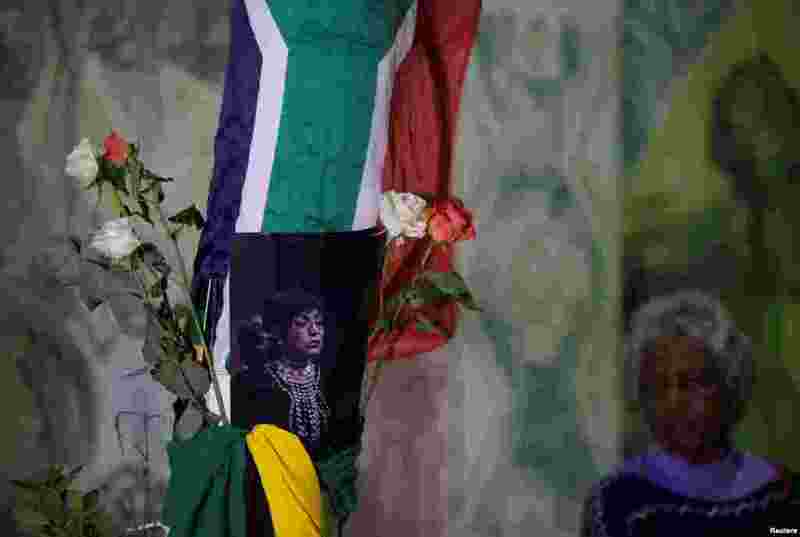 2 People gather to pay their respects to Winnie Madikizela-Mandela in Durban, South Africa, April 2, 2018. 3 Alex van der Zwaan leaves Federal District Court in Washington. 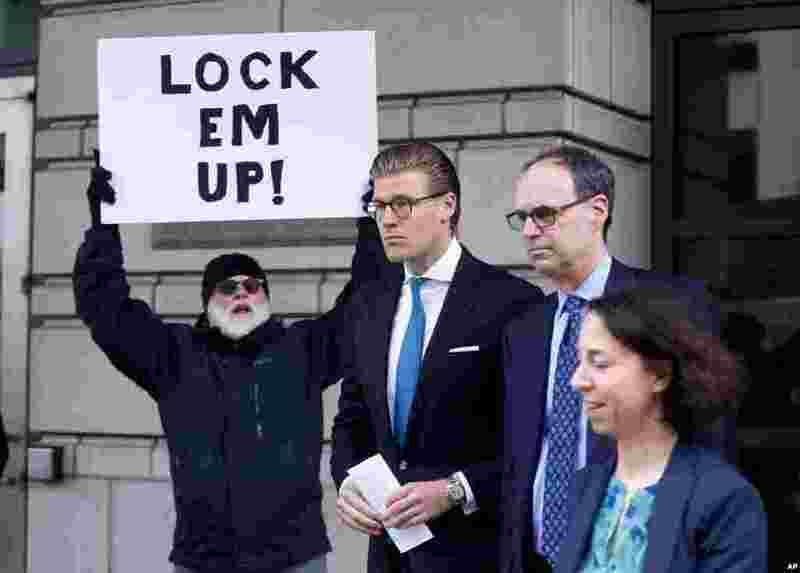 A federal judge sentenced Alex van der Zwaan, a Dutch attorney who lied to federal agents investigating former Trump campaign chairman Paul Manafort, to 30 days in prison in the first punishment handed down in special counsel's Russia investigation. He was also ordered to pay a $20,000 fine. 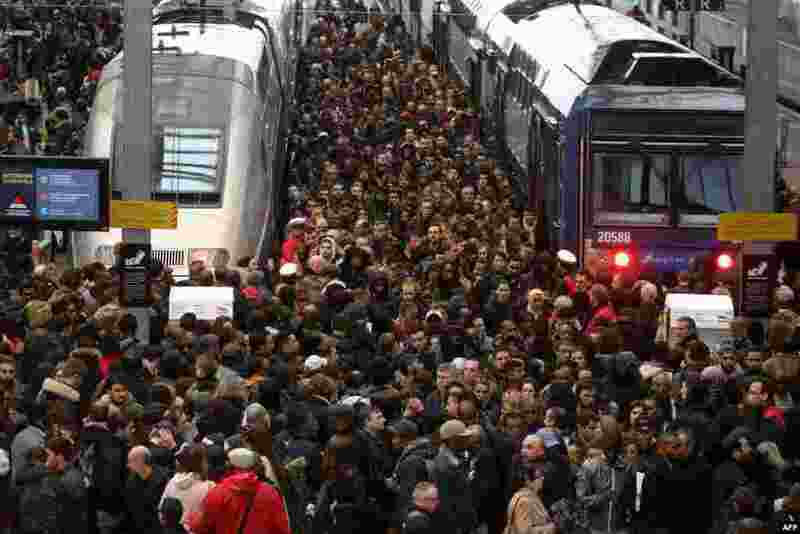 4 Commuters stand on a crowded platform of the Gare de Lyon railway station in Paris, on the first day of a two-day strike. Staff at state rail operator SNCF walked off the job from 7.00 pm (1700 GMT) on April 2, the first in a series of walkouts affecting everything from energy to garbage collection. The rolling rail strikes, set to last until June 28, are being seen as the biggest challenge yet to the President's sweeping plans to shake up France and make it more competitive.